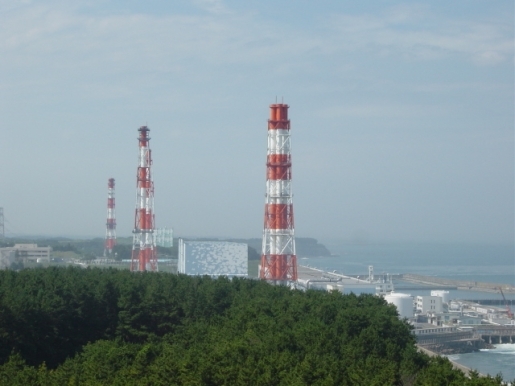 The Fukushima Daiichi Nuclear Power Station in pre-explosion days. In the wake of the double-slam of a tsunami and a massive earthquake, Japan faces a third near-disaster of Chernobyl proportions. At the Tokyo Electric Plant’s nuclear power station in Fukushima, disaster is waiting as three nuclear reactors have been damaged and are ready to blow. However, not all is lost. A group of some 50 workers have stayed behind, exposing themselves to radiation at Fukushima Daiichi Nuclear Power Station in an attempt to prevent a full-scale nuclear melt-down. These 50 faceless men stand between Japan and atomic disaster. This is incredible. In the wake of Chernobyl, the Soviet Union went to work to prevent this disaster by drafting folks into a group of workers who were cycled in and out in an attempt to contain the leaking radiation. That’s what saved that area of Ukraine from complete and total disaster, and it has had a significant toll on the health and well-being of the brave men who kept the Soviets from suffering a horrible fate. Now, it’s up to these 50 Japanese men, putting themselves in grave danger, to do the same. The word hero gets tossed around a lot these days, but these guys are heroes in the classic sense of the word. They’re white-suited Spartans, standing against the hordes of radioactive Persians in an attempt to save their world. Good luck, fellas; you’re going to need it.